Like many girls in Tanzania coming from extreme poverty, 13-year old Mary’s childhood years were filled with a multitude of responsibilities and tasks that should belong to adults only. Without access to education and working as a domestic house girl, many rights and opportunities that should have been afforded to her were denied, leaving Mary with little options for her future. Most girls who work in domestic settings are hidden from the public eye and face a variety of exploitations from their employers including verbal, physical and sexual abuse. Often, these girls do not even have their basic needs met, with insufficient food and deplorable sleeping conditions all too common. Mary’s decision to flee her hopeless situation and face the streets of Moshi alone was bold, but luckily Amani social workers were there to find this vulnerable girl before the additional risks and dangers of life on the streets were able to take hold. Mary quickly excelled in our in-house education program, catching up on the essential education that she missed for so long in her young life. Initially a member of the Starters Class (our mixed age, entry-level program to ease former street children into semi-formal education), Mary learned quickly, mastering the basic reading and writing skills she lacked when she arrived at Amani. 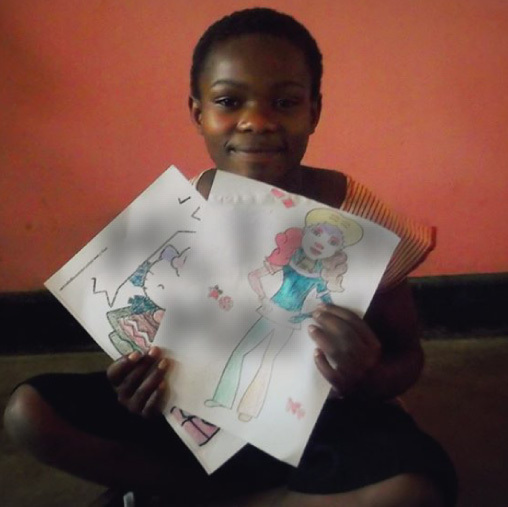 A bright girl with an even brighter smile, Mary now has the chance to be a normal girl. She loves listening to music, spending time with her friends, and being an active member of the Ngoma (drumming and dance) group at Amani. We are very proud of Mary’s progress and happy to offer a safe environment where she can thrive. While many domestic house girls face serious mistreatment and suffer silently, Mary now shines as an inspiration of bravery and hope for other at-risk girls.